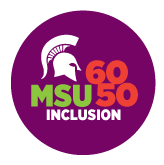 In an effort to build the body of work authored by students that supports the MSU and MLK, Jr. ideals of inclusive excellence, we encourage submissions of MSU student research papers and creative projects on topics on inclusion, diversity, and marginalized populations. MSU members of Honors College, James Madison College, Lyman Briggs College, or the Residential College in the Arts and Humanities during the Fall 2018 semester are eligible to apply. Submissions from work completed between January 2018-December 2018 due by 5 p.m., December 18 to honors@msu.edu. All submissions must include a clear and thoughtful explanation of how the research paper/creative project connects to and advances inclusivity, in the spirit of Martin Luther King, Jr. The length of this attachment should be no more than 2 pages. Research papers and texts supporting creative projects must be no more than 20 pages; the suggested length is 10-20 pages. All sources and references should be appropriately cited. Be sure to write clearly and proofread your final work. All submitted work must have been completed in calendar year 2018. Submissions completed for a class or campus project are welcome. Include your name and PID on a separate front page. A committee comprised of faculty, staff, and students from the sponsoring Colleges will select the winners of the MLK, Jr. Advancing Inclusion through Research Award. Winners will be announced on or about MLK, Jr. Day 2019. A formal presentation of the awards will be made at the All-University Excellence in Diversity Awards ceremony in February 2019, which winners are expected to attend and to which family and friends are heartily welcome. Funds for winning entries will be placed into student accounts shortly thereafter, and are subject to MSU financial aid regulations. Winners are strongly encouraged to submit their presentations for inclusion in the University Undergraduate Research and Arts Forum. Winners are also encouraged to consider submission to the Red Cedar Undergraduate Research Journal (ReCUR). Permission Notice: All or parts of winning and non-winning projects may be published on the sponsoring Colleges’ websites.